You might think a half degree between friends is not that significant, but this opens a whole can of worms in so many ways — what are these “limits”, do they apply equally to the high side records, who set them, how long has this being going on, and where are they published? Are the limits on the high temperatures set this close to previously recorded temperatures? How many times have raw records been automatically truncated? This raises questions about what is “raw” data? Perhaps most importantly, Jennifer Marohasy, I and the whole BOM audit team had been told that the Climate Data Online (CDO) represented real raw temperatures. Now apparently it does not. Raw is not necessarily raw it seems, but pre-adjusted and possibly by unpublished, unknown methods? The CDO data is the only data that matters for long term climate studies. To a scientist, shouldn’t the real raw data be kind of sacred? Marohasy uses a simple plot of minimum temperatures recorded at Goulburn and a normal curve to show that the BOM choice of -10.0 would be expected to cut off normal real raw measurements. This is yet another way to bias the long term so-called “raw” climate data. Thanks to a belief in Man-Made-Global-Warming, researchers might have a mindset that temperatures can only naturally break records on the high side, so they may have set asymmetrical high and low limits. There’s no way to know until the BOM provides the details. 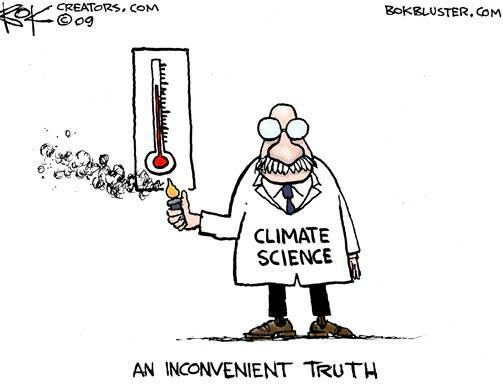 But if the if the top-end limit is set at 52C, while the bottom end limit is set at -10 — a temperature that have already been recorded in recent history — this would be, yet another, artificial bias. High end noise might be considered “real” while low end real data might be considered “spurious”. Where are these methods published, or is it another secret process? Jenifer Marohasy has the full story here. Is this simply an unfortunate mistake? Maybe, but these datasets usually have some sort of algorithm to throw out suspect readings. Is this evidence that it is the colder temps that tend to be chucked out, rather than the warmer ones. Meanwhile clearly fake temperatures at Heathrow are accepted as gospel. 😁😆😂😃😉😏👉 were all doomed, the end is nigh .suprise suprise, the climate changed again, how unusual, that’s never happened before. or has it. ????? BE VERY WORRIED. (b) he filed the lawsuit, not Dr. Ball. If BOM wants to sell AGW with their temp record they have much bigger problems than a record cold. It’s all messed up all the way back. I never knew that temperatures has to fit in a predetermined box. I never heard of anything so ludicrous. Yet more for the ‘who and what is to be believed’ tray. Having potentially spurious recordings flashed up for investigation would seem to be perfectly reasonable, but to automatically crop them is an accident waiting to happen. It’s a pretty pathetic state of affairs when ordinarly people have to ride herd on the local weather data in order to keep the officials on the straight and narrow. I’ve seen this type of “error” before and I think this is a fault in BOM procedures, not anything sinister. It’s possibly to do with the the fact that “live” data is published for individual stations at half hourly intervals. When station downloads are complete, there would be Tmax and Tmin figures in the record, requiring an update. PS: Australian temperature records are in an appalling state but i think this one is explainable.